As fully qualified and trained laser specialists, we are uniquely positioned to educate people around what laser is, what it does and what it cannot do. they are hairs that were at a different stage of growth. So How do lasers remove hair? Laser hair removal works because the concentrated beam of light is converted to heat. The light is attracted to the chromophore (melanin) in the hair (for the fairer skin types) and blood (for the darker skin types). This Dark chromophore absorbs the light and then converts it to heat. The heat then affects the hair follicles to prevent hair growth, this is called selective photothermolysis. So to recap, what happens is that the light is emitted, is then absorbed by the chromophore (either melanin or blood) in the hair, travels through the hair and is converted to heat and destroys the root. That hair is destroyed and does not grow back! It’s just so simple and effective. Only hairs in the growing stage (hairs that are in the anagen phase) can be treated successfully, however not all hairs grow at the same time. 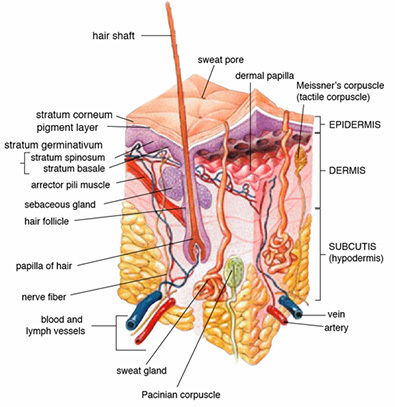 For example, at any one given time on our body, only about 20-40% of hair is growing (in anagen phase) the others are either in the transition or resting phase. This is why a course of treatments is required to get the different hairs as they enter the growing stage. Treatments are 4 weeks and a course of 6-10 treatments are needed. Once your desired hair removal has been achieved, maintenance is usually 2 treatments per year (every 6 months) the first year after removal then once per year. And the third factor is skin colour. The lighter your skin the higher the fluence (intensity) you can be treated with. If your skin is darker, the therapist will need to use a lower the fluence to treat you, which is best achieved on the Candela NdYag (specifically designed for the darker skin types). This is because laser light does not know the difference between the pigments in your hair or you skin, so if you have a tan you increase the risk of burning your skin. That’s why if you have a tan, you need to stay out of the sun, wear sunblock every day and start your treatment when the tan is gone. If you have any more questions about how the procedure works, our therapists are all highly trained & experienced in the use of medical grade lasers, are all laser safety certified and would be more than happy to answer any questions or concerns that you may have about the treatment. Mouda Laser & Skin Clinic offer both Female Laser Hair Removal & Male Laser Hair Removal. Book your consultation for laser removal at our clinic today and we can solve your unwanted hair concerns! Call (02) 9636 3123 or 0415 271 451 Our laser clinic is located in Wentworthville.